“It [sin] was a word once in everyone’s mind, but now rarely if ever heard.… Is no one any longer guilty of anything? Guilty perhaps of a sin that could be repented and repaired or atoned for?… Where, indeed, did sin go? What became of it?” —Dr. Karl Menninger, Whatever Became of Sin? 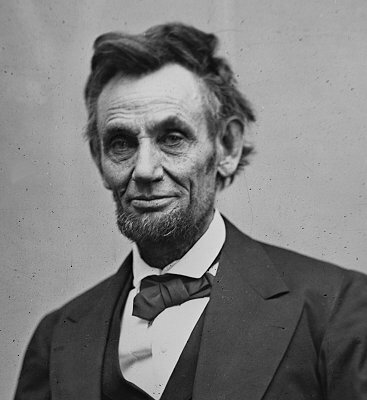 “We are made vaguely uneasy by… this persistent sense of guilt, and we try to relieve it in various ways. We project the blame on to others…” —Dr. 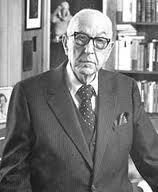 Karl Menninger, Whatever Became of Sin? As America’s Culture War combusts into the Border Uproar, as Third-World thuggery seethes just outside the gates to the Land of the Free (and inside as well), as America-deploring Americans (and the White House) fawn over the proposed Islamic mosque at Ground Zero, and as atheists and socialists openly and popularly decry and denounce our nation’s most hallowed attributes, there arrives a time when… enough is enough. The politically correct masses make a practice of impugning the morality of the rest of us. It is time their own morality is questioned. Yes, their morality. Not their logic, or illogic. Not their emotionalism or their hypocrisy or their judgmentalism. Their morality. Because practitioners of political correctness are immoral. It’s time we did so, and not for the pure satisfaction of opposing PC-ists. No, we must do it for the turnabout that can come from exposing and defeating fraudulence. Indeed, for the present and future of this nation. As long as we go on treating the PC blight as one of ignorance—as though PC advocacies are misbegotten efforts by dunderheads—then America will not see an end to the Culture War. For the Culture War is not being fought for the reasons that we are led to believe it is fought. Political Correctness masks a deeper, darker societal condition that has escaped notice. We will explore that. Meanwhile, every day brings some fresh affront—and a fresh assault on our freedoms—from the seemingly inexhaustible depths of the Politically Correct. 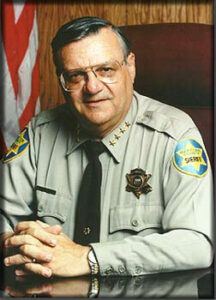 Recently I noticed that the feds are after Sheriff Joe Arpaio of Maricopa County, Ariz. The U.S. Department of Justice threatened a lawsuit against Sheriff Joe for not being forthcoming enough to suit them, in terms of handing over documents on his policies toward illegal immigrants. (The mainstream media account I consulted left out the word “illegal,” but I have insensitively inserted it.) Arpaio, meanwhile, fired back that he has no legal obligation to give the Justice Department more information than he has already supplied them, and the L.A. Times reported that the sheriff dismissed the probe as “politically motivated.” Politically motivated? Imagine that. Joe Arpaio, Sheriff of Maricopa County, Arizona. I like Sheriff Joe. I visited with him on the phone 13 years ago when the magazine I edited, American Cowboy, ran a profile of him. He’s an Old School law-and-order type (we headlined the article “Toughest Sheriff in the West”), but with a sense of humor. We reported that he was proud to be “an equal opportunity incarcerator” (his own phrase). So here’s an American original, a vital link in the thin blue line, and of course with the Border chaos consuming Arizona, it is he—not the illegal immigrants he deals with—who is under assault by the feds. The PC and Their M.O. That’s political correctness. It elevates Tolerance—tolerance for illegal immigrants being merely one form of it—to the pinnacle position among virtues. Actions are judged in light of whether the scrutinized person is tolerant-or-not on the sacred-cow issues-in-question. That is to say, the scrutinized person can either profess the “correct” position as ordained by the PC crowd, or not profess it and be wrong. Incorrect. Immoral, perhaps. Or maybe xenophobic, homophobic, heterocentrist, racist, or sexist. Applying “-phobe” epithets is the stock-in-trade of the politically correct. So… phobe me. They phobed Arizona Gov. Jan Brewer, of course. And yet all that Brewer did was seek border-enforcement cooperation from the feds. That move had the effect—accidental? intentional?—of “calling out” the feds over the issue. But calling them out had the fortunate (for us) effect of unmasking them as Fifth Columnists. These same obstructionists are now harassing Arpaio and anyone who has the moxie to oppose them. The mosque affair, meanwhile, struck a note that may never be matched—it became in one stroke the most egregious and the most comical development that the PC circus has ever staged. Comical, yes, in a dark and pathetic way. Yet that humor shouldn’t pass unappreciated. Rush Limbaugh told his radio listeners that the mosque would reportedly “hold 1,000 worshippers,” only to chuckle when his call screener, Mr. Snerdley, asked how many pilots it would hold. Do we need to point out the irony, so often remarked upon, that the “tolerance” held so sacrosanct by the politically correct is itself intolerant of any who do not conform to their prejudices? But there is something deeper to consider. Something that I don’t see remarked upon by observers. It is the fallacy of making Tolerance pre-eminent among virtues. It is here that the PC world has its bluff in on the rest of us. It’s a tactic that works remarkably well for them. And it works because it embeds a half-truth. Tolerance really is a virtue. We know that much to be true. So much so, that when anyone hints that we might not be tolerant, we wince. For who wants to be intolerant? It smacks of bigotry, hatred, and all manner of negative –isms. But the untruthfulness arises from their handling of it. The tolerance angle, as pushed by the politically correct, imposes a false dichotomy. Questions are reduced to tautologies, as you are given two fixed absolutes from which to choose. You are for the PC position or you are intolerant. PC-ers are not out to defend the justness of the issue about which one is supposed to be tolerant. No, for the PC kind, your tolerance is the only concern. They’ll judge if you have it or not. It’s all bogus, of course. Besides, aren’t there occasions when it is virtuous to be intolerant? Of course there are. Any unjust, unfit situation that comes along is a matter that deserves our intolerance. It deserves their intolerance, too. In fact, it can be as virtuous to be intolerant as to be tolerant. The worth of tolerance is always determined by its object. Never in human history has tolerance been considered one of the highest virtues. The ancients, by common consent, identified the “cardinal” (that is, the most important) virtues as justice, prudence, temperance, and fortitude. For Christians, there are three virtues deemed higher than these: faith, hope, and love. Collectively, these comprise the seven virtues that thinkers through the ages have decided stand above all others. The problem for us, today, is that Tolerance has been elevated in our society to insupportable heights. As compared to questions of justice—that is, right and wrong—tolerance is clearly secondary. A virtue, yes, but a minor virtue. As C.S. 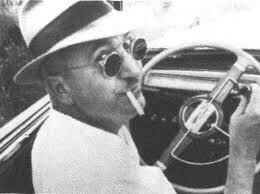 Lewis noted, “Second things are always corrupted when they are put first.” Tolerance, as touted by PC individuals, is corrupted. To tolerate means to “put up with.” How could “putting up with something” ever have become a matter of such paramount importance in our society? If avowing one’s tolerance qualifies as doing good, it is the most passive form of do-good-ism that ever existed. Worse, it’s not just about being “tolerant.” For the PC kind, it is about urging “tolerance” of a behavior that traditional, morality-minded people (Christians, mainly) do not condone. Why? Why are the politically correct drawn inexorably to positions that are calculated to put Christians in the wrong? Christians (at least traditional, Bible-adhering Christians) are opposed to, for instance, homosexuality. The politically correct, then, make gay rights a mainstay of their worldview. When we search for politically correct positions that do not subvert the ideals of traditional, mainstream, church-inclined Americans, we search in vain. Here’s what we get from the PC ranks: Advocacy for gay men as leaders of Boy Scout troops. Advocacy against the Boy Scouts for not embracing gays as members. 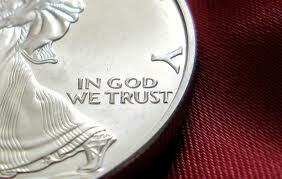 Demands to remove the words “In God We Trust” from our money. Opposition to saying the Pledge of Allegiance in schools. Efforts to hustle condoms to younger and younger elementary age children. And revisionist ploys to rewrite school textbooks to better propagandize PC agendas. For two decades, we have heard salt-of-the-earth Americans protest that good has been cast as evil, and evil as good. That sentiment—that the PC police are out to turn holy into unholy, sacred into profane (and vice versa)—is found everyplace where political correctness intrudes. Why? Why does political correctness so steadfastly restrict itself to opposing the traditional status quo? Things were not always so. Political correctness is a malady of the modern mind. The 1990s-and-later mind. Its rise has coincided with the most pronounced downturn in church membership levels that America has ever seen. The secularization of society has been advancing for more than a generation, but the pace has accelerated markedly since 1990 and the rise of the New Atheism. The exodus from the church, and from active, professing Christianity, has been going on in earnest for, oh, the same timeframe as this era of rampant political correctness. Menninger’s book, which became a bestseller, asked a question that has only gained more relevance with the passing years. Menninger’s message was clear. Sin might have been disappearing from our vocabulary, but sin, as a human condition, was not disappearing, and in fact could not disappear. Sin is a real thing. It affects us as human beings. Sin is not an idea. Not a state of mind. Not a determination that someone makes, nor an opinion, nor a value judgment, nor a superstition, nor (merely) a bad conscience. It is something real that has real effects upon us, individually and as a people. Menninger concentrated on exposing society’s tactics for disregarding or “eliminating” sin—tactics that involve redefining sins as, for instance, crimes or neuroses or illnesses. But another famed psychologist, the founder of analytical psychology, Carl G. Jung, had already postulated a concept that explained where unacknowledged sin “goes” and what it does to human beings. Why this emphasis on the Shadow element of the personality? Because of the Shadow’s connection to the concept of psychological projection, and because of projection’s role in the contemporary phenomenon that is political correctness. Jung, like Menninger, predated political correctness. We thus cannot expect to find either of them explaining political correctness, per se. But that is not to say that their theories do not help explain the PC mind, or at least help explain a psychic condition that could have given rise to political correctness. Jung’s concept of the Shadow, and his ideas on projection, went hand-in-hand. “Sin or evil that is not recognized, not confessed in other words, is a poison and creates disharmony and destroys community life…,” he wrote. 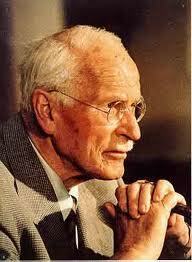 For Jung, the way that such a poison destroys community life is by projection. The unbelieving, unchurched, unconfessed sinner, harboring unadmitted sin and yet disbelieving in sin, sees his world through a jaundiced eye. 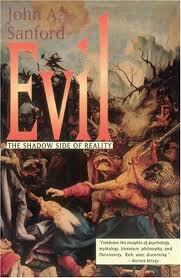 Being inclined to see “evil” about him, even where it does not exist, he might condemn, vilify, label, smear, or scorn. In such cases he unknowingly projects his own moral waywardness on some aspect of the world around him. Whatever became of sin? Menninger said it has taken several modern-day guises. If that act of projection confers any sought-after feeling of righteousness, such righteousness cannot last. The sin is still there. And so, for the Shadow-ridden individual, any lifting of guilt is short-lived. Another condemnation is necessary. And another. But all in vain. Thus, we see how Jung’s ideas and Menninger’s ideas converge to provide a window into our contemporary state of affairs. Jung showed us what sin does to us, whether we believe in sin or not. 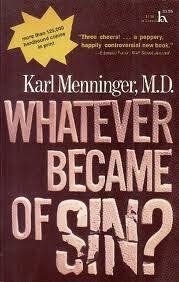 Menninger showed how some of us are losing the awareness, though not escaping the reality, of sin. Without such a process, we inhabit a world in which ever-larger populations of Christianity-spurning individuals are seeing evil in those around them. Is it any surprise that the people whom they see as unrighteous are Christians themselves? Where else would the politically correct find any “sinfulness” to condemn? The church has already condemned unrighteousness in all its forms. Those sins are already “taken,” already denounced. So, while it might be possible, hypothetically, for someone outside the church to deplore the same sinful activities that the church already deplores, to do so would be simply to align oneself with the church. Why do that, if the denouncer is someone who rejects the church? No, it makes more sense that if anyone is projecting his or her Shadow onto someone else, then the “someone else” is the target not just of condemnation, but of condemnation of an unconventional sort. The one who projects cannot give off any scent of orthodoxy or church-mindedness, for that simply would not do—not coming from someone who has a dense, blackened Shadow and is likely a nonbeliever or at least an atypical Christian. Hence, political correctness finds new targets and invents new sins. The sin, for instance, of not wanting animals to have “rights” equal to those of human beings. We see in our midst a newly risen segment of society that glorifies practices that Christians censure, and censures positions that Christians support. In other words, a segment of society that essentially calls Christians immoral. A segment that turns a fond gaze to (formerly) disreputable doings—to any practice (apart from felonies, maybe) that has known the disapproval of the Christian community—and makes that practice its cause célèbre. Hoisting high the Tolerance banner, the politically correct find a way not just to out-holy Christians but put them in the wrong. Notice how the process works. When a politically correct person advocates for condom distribution to children in elementary school, the impact is twofold. For one, the PC individual ostensibly shows he “cares more” about the children than do others who have not urged condoms for the grade-schoolers. But more than that, the PC individual has put his opposition—and we already know that his opponents are traditional-morals-minded people, including Christians—in the wrong. And the process on the whole confers a (new) form of righteousness—a righteousness that only the politically correct uphold. By “redeeming” any “stigmatized” or “hated” population, the politically correct set themselves up as the moral superiors to traditional, morals-minded groups. It takes an unconventional morality to effect this triumph, but the politically correct are finding new and unconventional ones every year. It is this onslaught of fresh “moralities” that is unraveling traditional morality. Political Correctness in the Church? Before we answer that, consider: Can anyone point to a single individual who will lay claim to that distinction? If we can find anyone, anywhere, who will say, “Yes, I am politically correct and I am a member of a church,” then perhaps we have a need before us. Just the same, let’s try to answer. If the stands taken by the politically correct are consistently stands that Christians reject, it is hard to accept the idea of the PC individual as “Christian,” regardless of what the individual might say for himself or herself, regardless of how much time is spent in the pews. But even so, if some PC types lay claim to Christianity, then in fairness let’s call them Christians. But the fact remains that they are opposed to positions that Christians support. PC types are not your average church-going, pro-life, heterogamy-defending, traditional-morals-minded individuals. So from any practical standpoint, they are outside the church, regardless of what label they choose to wear. Thus we have our current state of affairs. And within it, a crisis for Western civilization. Political Correctness is sin. It is a tide of society-polluting, nation-subverting sin in a world that does not believe in sin. It wreaks havoc upon traditional morals because its opponents (we who cling to traditional morals) have tried to respond to it as some kind of ideological difference, or as ignorance, or as misguidedness. It is none of those things. It is more insidious than that. Jung and Menninger, and others, have tried to warn us about the directions in which society has moved. We have not listened. What we have not grasped—and this is the insidious part—is that political correctness does not just oppose traditional moralities, it feeds upon them. The Christian is not just the adversary. He is the prey. And the more that Christians hunker down, the more vociferous the politically correct become in championing unconventional, untraditional new “moralities.” The PC legions “call out” Christianity at every turn, because what they are after is a sign or showing of Christian rigor, which they can subvert into judgmentalism or “hate” or intolerance or any such sin that their Shadow-ridden souls might hope to denounce. This is why everything that was once holy is now unholy. This is why right is wrong and wrong is right. We have a new moral (rather, immoral) constituency in our midst, and they need us as foils for their own unresolved, internalized sin. Their Shadows are dense and black and getting denser and blacker—they crave more and bigger targets. They cannibalize that which is good in society. And with Christians growing reticent from ceaseless attacks by the stridently political correct, the PC inciters, not finding the resistance they seek, attempt ever-more-flagrant assaults. The Culture War will not be won by engaging in sweet reason with politically correct factions. It apparently will not be won with votes, either—not in a world that is abandoning Christianity in increasing numbers. The Culture War will be won by recognizing political correctness for what it truly is. By ceasing to grant it legitimacy as ideology and instead recognizing it as a form of degeneracy. By seeing that tolerance is not the be-all, end-all of virtues. By ceasing to be afraid to inject faith into the dialogue. By ceasing to be afraid to discuss sin as a real thing in the world. Stigma has always been the weapon of the politically incorrect. It only works for them as long as their opponents grant them some validity. When moral and honorable society ceases to grant these stigmatizers any validity, when good people push back in justifiably righteous indignation, armed with real understanding of what political correctness is, the scorn will be felt in the other direction, in the direction of the immoral, as it is felt in all good, wholesome, non-ailing societies. Yes, it is true—good, moral societies are intolerant of sinfulness and are critical of those who brazenly flout disreputable causes and practices. We’ve been told we cannot be critical, for that way lies intolerance. But it can be as moral to be intolerant as to be tolerant. We have been sold a bill of goods. Proven by all history. When this nation rediscovers what it means to be one nation under God—it will be then that this nation will get the victory over the blight that is political correctness. For political correctness is sin.